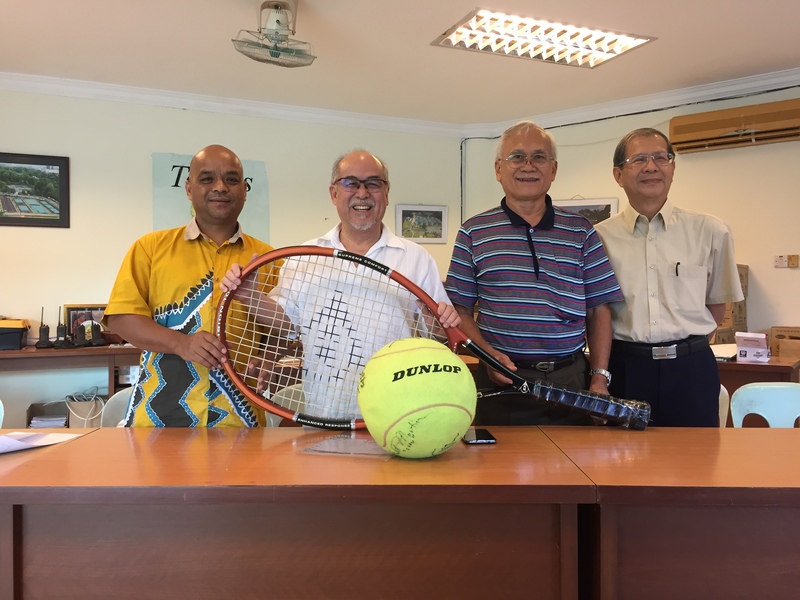 KUCHING: A total of 103 players from 23 countries are expected to compete for honours in the 30th Sarawak Chief Minister’s Cup (II) ITF Junior Circuit (Grade 3) tennis tournament here from Oct 10 to 15. The tournament will be held at Sarawak Lawn Tennis Association (SLTA) Centre along Jalan Crookshank, here. Among the participating countries are Australia, China, Denmark, Great Britain, Hong Kong, Hungary, India, Indonesia, Japan, Kazakhstan, South Korea, Malaysia, New Zealand, Northern Mariana, Norway, Philippines, Singapore, South Africa, Russia, Sweden, Taiwan, Thailand and United States. According to the organising chairman Dato Patrick Liew in a press conference held at SLTA Centre here yesterday, so far there are 64 boys and 39 girls have registered for the final competition hosted by SLTA. Malaysia is fielding the biggest team of 10 boys and 5 girls, followed by Sweden with 7 players, China, India and Taiwan each with 6 players and Autralia and Norway each with 5 players. “For the Boys’ main draw, Malaysia will be represented by Sabahan player Christian Didier Chin who is the world’s ranking of 81 while two of our state players, namely Jimmy Liong Kai Long and Nicklaus Sim Liang Thai will be playing in the qualifying match. “Apart from that, Tan Lin Xin of Sarawak will represent Malaysia in the Girls’ qualifying match,” he said. The qualifying matches will start from Oct 8 to 9 while the main draw will be played from Oct 10 to 15. 103 players from 23 countries to vie in Kuching meet 0 out of 5 based on 0 ratings. 0 user reviews.